Each year, the MVCA Membership Committee and MVCA Board of Directors extends a very limited number of invitations to a carefully curated selection of professional service organizations. These are elite organizations who have been identified by MVCA as being valuable partners within the entrepreneurial and investment community. MVCA and its membership are grateful to our valued 2019 Service Provider Members. Thank you for your involvement in the Michigan entrepreneurial and investment community! Bringing a “different perspective” to entrepreneurs and venture investors, Cendrowski Corporate Advisors (CCA) provides full service financial consulting to private equity and venture capital general partners, fund principals, and portfolio company management teams in Michigan. CCA has been part of the MVCA membership since 2012 and its experience serving both capital providers and the startups they fund puts CCA in a unique position to guide MVCA members. E.M.M.A. International Consulting Group, Inc. (EMMA International) is dedicated to helping all clients, from entrepreneurs to established companies, navigate the regulatory landscape. The company provides regulatory and compliance solutions for medical products at every stage of their lifecycle – including design and production strategy, preparation of regulatory submissions, design of quality management systems, and remediation support. The company’s technical experts provide scientific and regulatory experience that meets the needs of each client’s business and operation. A devoted member of the Michigan entrepreneurial community for over 10 years, EMMA International can assist MVCA members by providing guidance for the regulatory landscape in the U.S. and global markets. 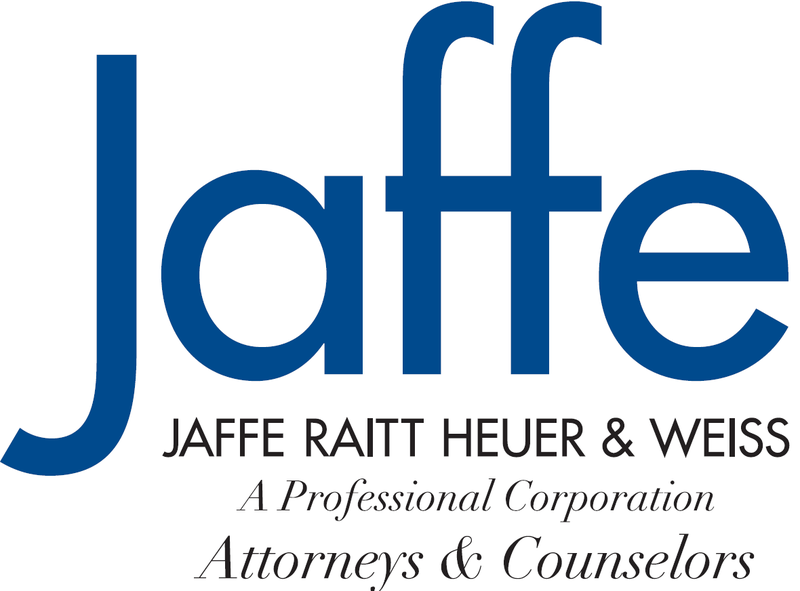 A dedicated member of the Michigan entrepreneurial and investor community, Jaffe Raitt Heuer & Weiss (Jaffe) assists entrepreneurs, startup companies and growing businesses in all areas of formation, development and funding, and complex business transactions. A multidisciplinary team of Jaffe lawyers can provide venture firms and their portfolio companies with assistance in entity selection and formation, commercial agreements, intellectual property, employee benefits and compensation, corporate law and governance, finance, venture capital and private equity, private and public offerings, mergers and acquisitions and tax planning, among others. Its cross-disciplinary teams provide substantial value when advising a startup or emerging growth business and planning for its growth. An MVCA member since 2009, Pepper Hamilton’s connection to the Michigan venture and entrepreneurial community goes much further back than that, when Small Business Investment Company (SBIC) law experts at Pepper Hamilton advised Michigan’s earliest venture funds and helped usher the state’s venture capital industry into existence. Decades later, Pepper Hamilton is still an important partner to Michigan venture funds and their portfolio companies, with one of the country’s largest and most active SBIC practices in the country. Pepper Hamilton lawyers have assisted more than 260 SBICs with obtaining licensing since 1994, advising on fund formation, including structuring funds and raising private capital; regulatory issues; fund investment activities; and systematic improvements to the SBIC Program. With 177 lawyers located in eight offices throughout Michigan, Varnum Law serves members of Michigan’s entrepreneurial and investment community with innovative programs and high quality legal counsel and has been a member of MVCA since 2016. Varnum assists emerging companies with all aspects of raising capital, as well as entity formation, shareholder agreements, intellectual property and employment matters. They also work directly with venture capital firms, private equity funds, banks and other lending organizations on their legal needs. Bodman law firm is best known for providing sophisticated, creative and practical solutions to some of the region’s most successful companies and wealthiest individuals on a broad range of issues. The firm’s Emerging Companies and Venture Capital practice assists venture capital funds and angel investors who are looking to invest in and partner with promising companies. As business advisors, Bodman attorneys can provide emerging companies with pragmatic, down-to-earth advice that is aimed to place clients in the best position for future success. Gunderson Dettmer is the only business law firm of its kind—singularly focused on the global venture capital and emerging technology marketplace. With more than 220 attorneys in nine offices—Silicon Valley, Ann Arbor, Boston, Los Angeles, New York, San Diego, San Francisco, Beijing, and Singapore—Gunderson Dettmer represents more than 2,000 high-growth companies from a broad range of industries in every stage of development. The firm provides clients with counsel on general corporate and securities law, mergers and acquisitions, financings, intellectual property and commercial agreements, strategic alliances, executive compensation, and tax matters, combining a deep market knowledge with strong industry relationships to provide practical, business-oriented counsel designed for the needs of the emerging-growth company marketplace. A financial solution for companies that are positioned for growth, Square 1 Bank offers venture capital firms and their early stage portfolio companies a full service financial services partner. As a division of Pacific Western Bank, Square 1 can provide a broad range of venture debt, treasury and cash management solutions from offices in top innovation centers throughout the United States. The bank’s founders, all entrepreneurs themselves, assembled experts from across several industries, including financial services, technology and venture banking, to meet the needs of its investor and entrepreneur clients. Taft Stettinius & Hollister LLP (Taft) represents both venture capital funds and venture-backed companies, providing award winning legal counsel and cost-efficient, practical solutions that high-growth companies and their investors need. Taft’s investment fund clients range from family offices and angel groups to institutional seed and late-stage venture funds; their team of corporate attorneys is engaged for the entire venture capital growth cycle, from fund formation to IPOs and strategic exit transactions. Typical services include deal negotiations; regulatory and tax planning and compliance; general partner entity and management company structuring and governance; compensation and incentives programs; and portfolio company due diligence, SEC filings and interaction, investment and ongoing oversight. Founded on a handshake in 1931, Warner Norcross + Judd is a premier Michigan law firm focused on delivering exceptional results for a diverse set of clients both nationally and internationally. With eight offices throughout Michigan and over 200 attorneys, Warner Norcross + Judd has a variety of practice areas with highly specialized attorneys. Emerging businesses, angel investors, venture funds, family offices, foundations, and pension funds throughout the Midwest find the firm’s first-class services accessible and affordable. Compliance Corner, the firm’s hub for registered investment advisors, provides up-to-date information from the SEC, FINRA and state regulatory agencies that may warrant these clients’ careful consideration and immediate action. 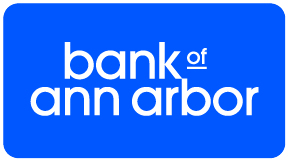 Beginning in 1996 with a simple mission–to give Ann Arbor businesses a local banking option–Bank of Ann Arbor has grown to become the city’s second-largest bank, with a major presence throughout Washtenaw County and Southeast Michigan. Bank of Ann Arbor’s Technology Industry Group, celebrating 15 years in 2017, provides a full range of banking and investment management products to emerging and later-stage information technology, advanced manufacturing and life sciences companies, venture capital firms, and angel investors. Its business financing solutions for growing companies include: working capital lines of credit, equipment financing, commercial real estate mortgages, acquisition financing, sale and purchase leasing options, letters of credit and business credit cards. For venture capital firm clients, capital call lines of credit have proven to be an especially valuable service offered by the Bank. Fishman Stewart is a premier specialty law firm that identifies, secures, and advances the creativity of its clients to accomplish their business goals. In addition to the firm’s decades of legal expertise, many of its attorneys also have advanced technical degrees and associated practical work experience. As strategic advisers to CEOs and senior executives throughout the world, Fishman Stewart helps to maximize the value of “intellectual capital.” Patents, trademarks, copyrights, trade secrets and other forms of intellectual property are key elements of a company’s business strategy; managed effectively, they can protect new product lines, increase market share and head off competition. Headquartered in Bloomfield Hills, Michigan, LSG Insurance Partners is Michigan’s largest, independent insurance, benefit administration and consulting services agency. The company offers in-depth expertise and exceptional service across all lines of risk management, including commercial property and casualty, employee benefit programs, mergers and acquisitions, and private client services. Its experiences serve a range of technology start-ups and entrepreneurial clients in the life sciences and healthcare arenas. By cultivating robust relationships with its clients and carrier partners, the company provides tailored, innovative and cost-effective solutions to enable its clients to protect what they value most. LSG is licensed in nearly all fifty states and represents clients at the local, regional, national and international levels. Plante Moran has built a national practice from their Midwestern footprint and has become the 14th largest certified public accounting and business advisory firm in the country. Via their multidisciplinary engagement teams, clients work with professionals with a range of expertise to solve problems in a variety of areas including commercial diligence, cybersecurity, medical device consulting /commercialization operations, tax and accounting, employee benefits, global sourcing, or mergers and acquisitions.